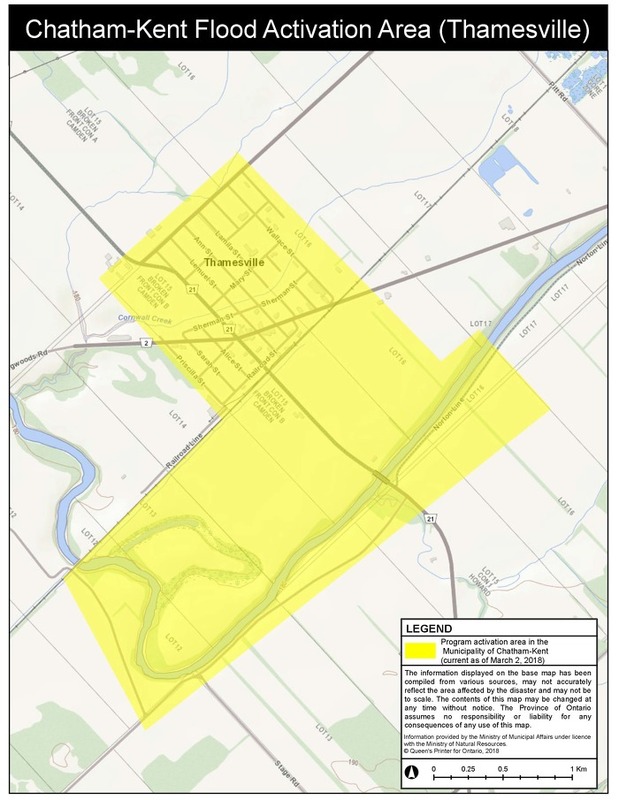 Ontario has notified the Municipality of Chatham-Kent that it has activated the Disaster Recovery Assistance for Ontarians program in flood-affected areas in the communities of Chatham and Thamesville (see maps). 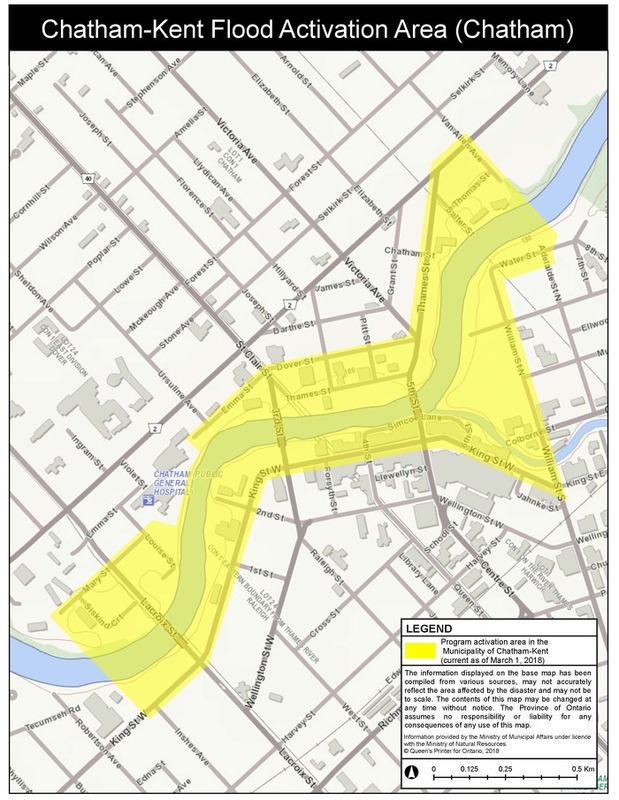 The floods in Chatham and Thamesville were caused by heavy rainfall and warm temperatures that melted deep snow in the Thames River watershed. At its peak, the river was more than 5 metres above its normal level.